Dr. Lee received a Bachelor of Science from the University of Sussex in England. She then began studying and conducting research in molecular biology while attending Cambridge University for medical school. 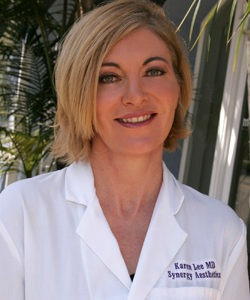 After moving to New Orleans, Dr. Lee graduated from Louisiana State University Medical School and went on to work at Cedars Sinai Medical Center and UCLA in order to complete her residency in Obstetrics. When she is not busy caring for her patients, Dr. Lee loves spending time with her three sons and daughter. She also enjoys hiking, snow-skiing, and has gained memorable experiences from her extensive travels abroad.